My kennel layout 3 pups pens.....female pen ...male pen...6 feet hight fence all around. ..feed shed in there a walkin freezer 8x10....2 meat grinders. ..other shed for storing straw ......we have 40 running dogs and try to get 2 litters a year .....only keep what we could manage all the dogs are training. Dogs understand you ...when you're going though something in life emotionally. ....you have to understand the dogs you have in the team ...and the dogs have to trust you ...you're not going to ask them to do something that there not train for it ...going for training runs you have to make it fun and the dogs are happy to do it ...I stop many time to pat the dogs and play with them to let them know. .hey it all cool. Most memorable. .....I don't know where to start ...all my life with dogs ...from a childhood helping my dad on the trapline .... traveling with dogs as a family going to spring camp ...then raceing for 30 year ...made so many dog miles ...meet so many good people ...still today my grand kids raceing ..mu my 3 kids when they were young race ..even my wide race....I have win many races with 1 world championship. 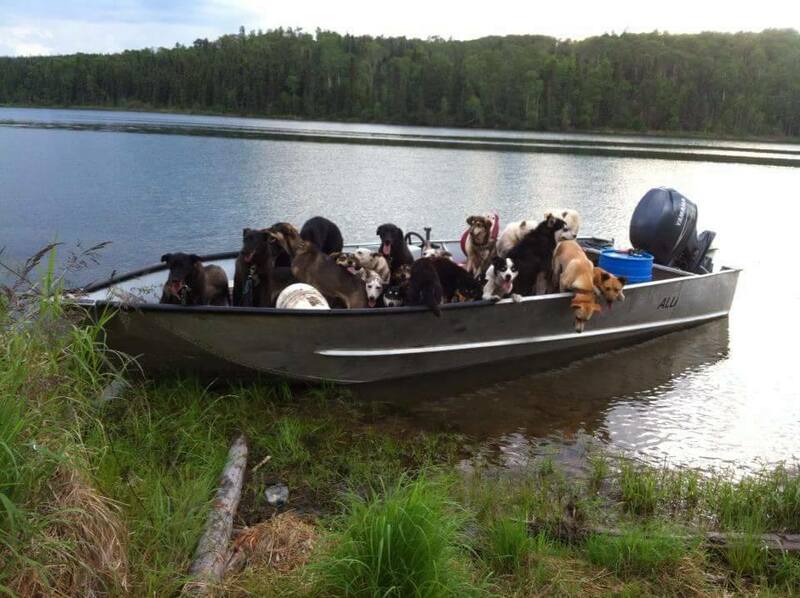 ..race from 5 miles to 300 miles ...from 3 dogs to open class.......seeing a team of dogs working as one unit"
Advice to mushers Make it fun for your family and dogs. ..only have dogs that you could afford and manage .....see u in the trail"